Tracy Gold collaborates with a photographer Abigail K to bring you unique packages that provide you with professionally styled photographic portraits. During the process, they teach you how to re-create your new look and share the essential tips for ensuring great photos every time. Advice on overall styling and wardrobe choice for the shoot with Tracy Gold: She will ensure that your clothing choice, hair and makeup is in line with the image you wish to portray. She will also give you tips on what works for you, what doesn’t and why according to your body shape, personality and personal style. Professional hair styling and makeup. Camera coaching with AbigailK: She will teach you the poses, postures and other tips and tricks for getting a good shot every time. Optional extra: 2hr shopping lesson with Tracy Gold to purchase items for your shoot and wardrobe in general at R1500.00. Option to purchase more images at R400.00 each. 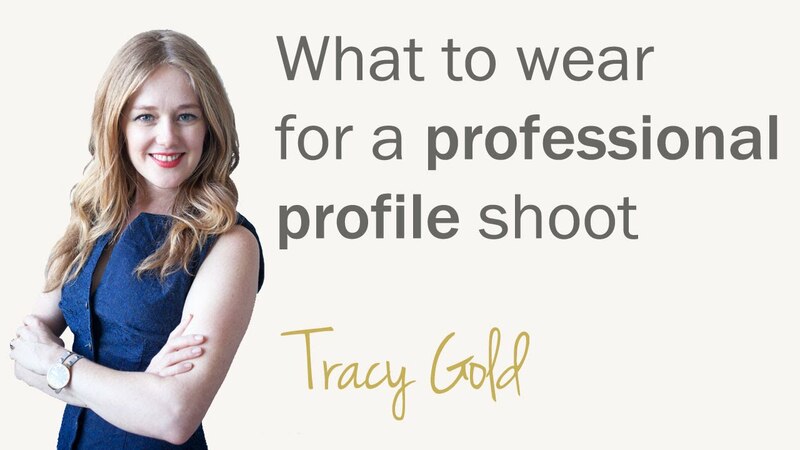 Free tips: For a few tips on what to wear to your professional profile shoot, click on Tracy's video tutorial on your right. These sessions offer you the opportunity to learn the essential tips for ensuring great photos every time. The impact of this is increased confidence and the ripple effect is a deeper appreciation for the beautiful woman that they are. Advice on overall styling and wardrobe choice for the shoot with Tracy Gold: She will ensure that your clothing choice, hair and makeup is in line with the look you wish to portray. She will also give you tips on what works for you, what doesn’t and why according to your body shape, personality and personal style. High resolution (full size, 200 dpi) images: Individual images are professionally edited, retouched, printed and mounted in an 11×14 (279mmx355mm) sleeve matte and boxed. Security Check What does 2 + 5 = ?